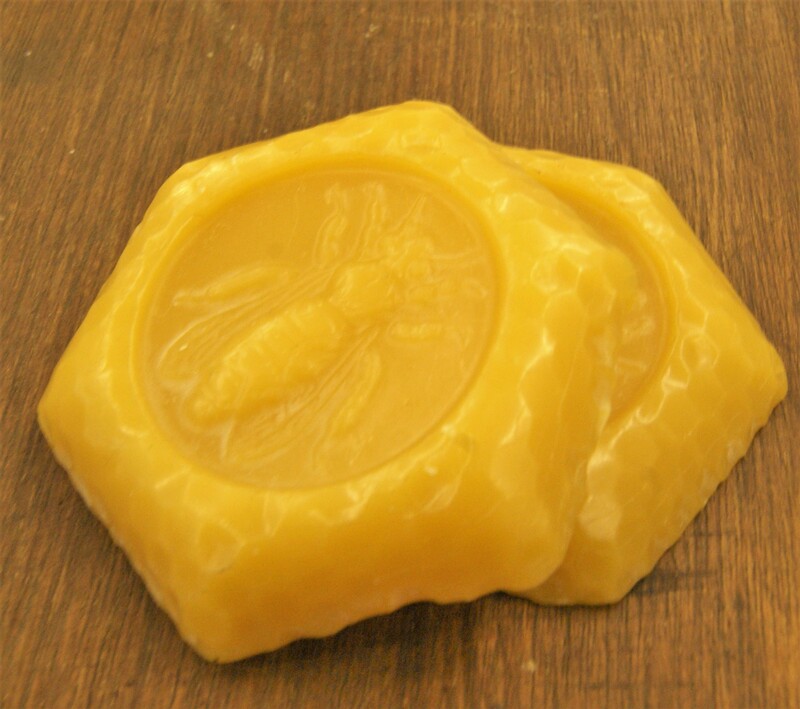 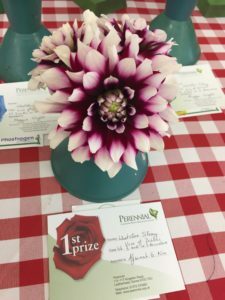 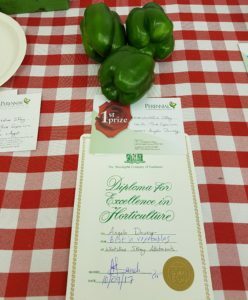 Our 71st Annual Show is coming up! 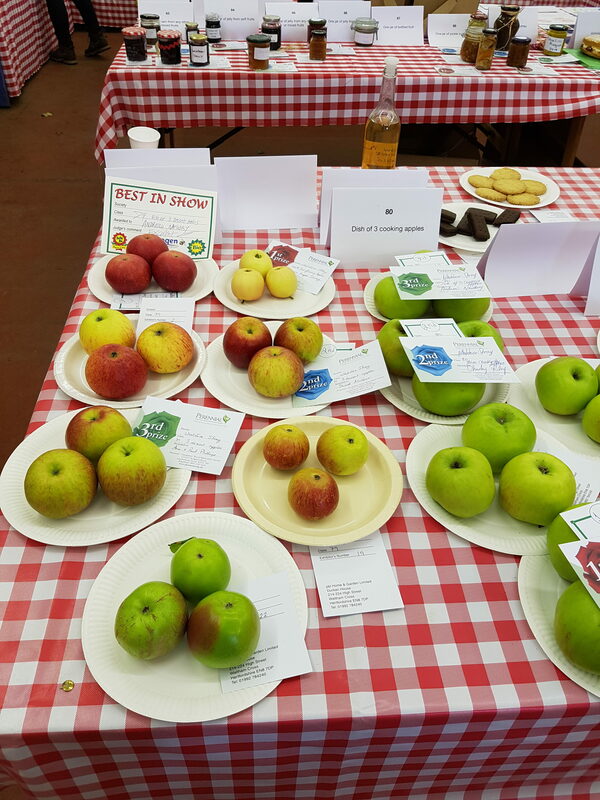 Our 71st Annual Show is coming up on 4th September 2016. 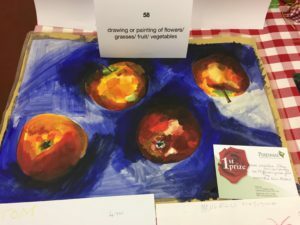 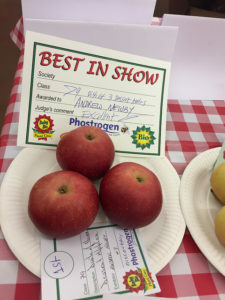 The Show is open to all plot holders and their children aged up to 15. 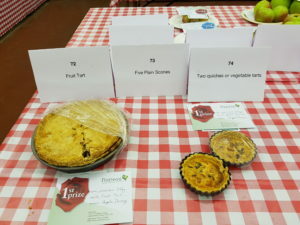 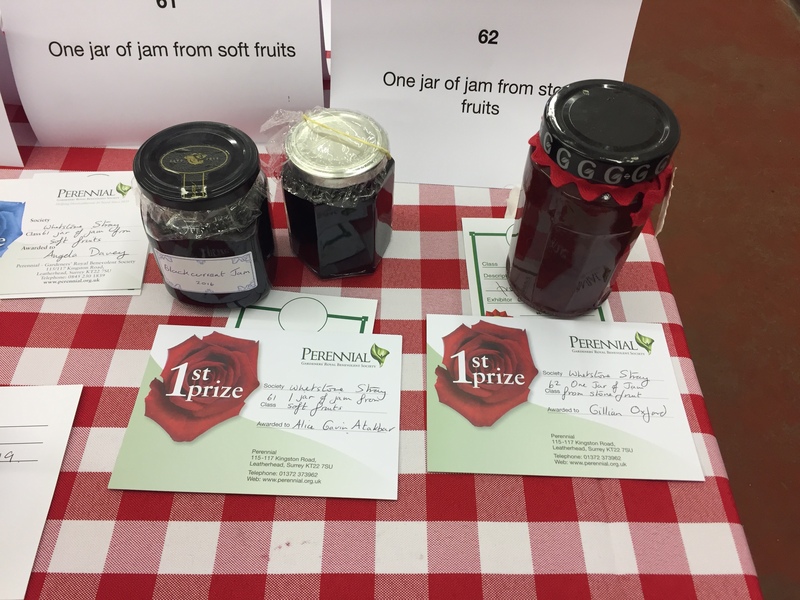 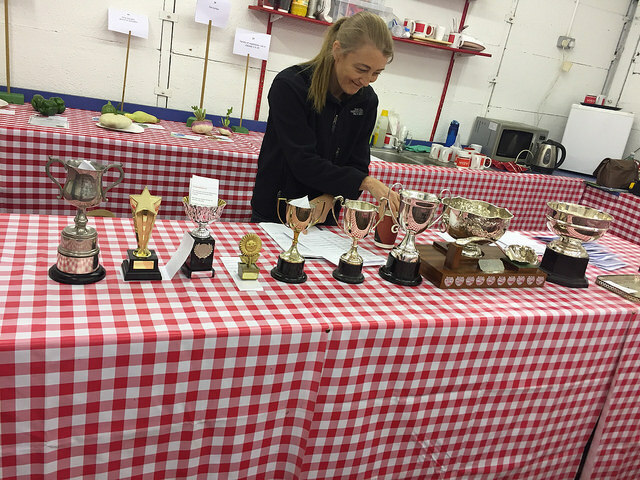 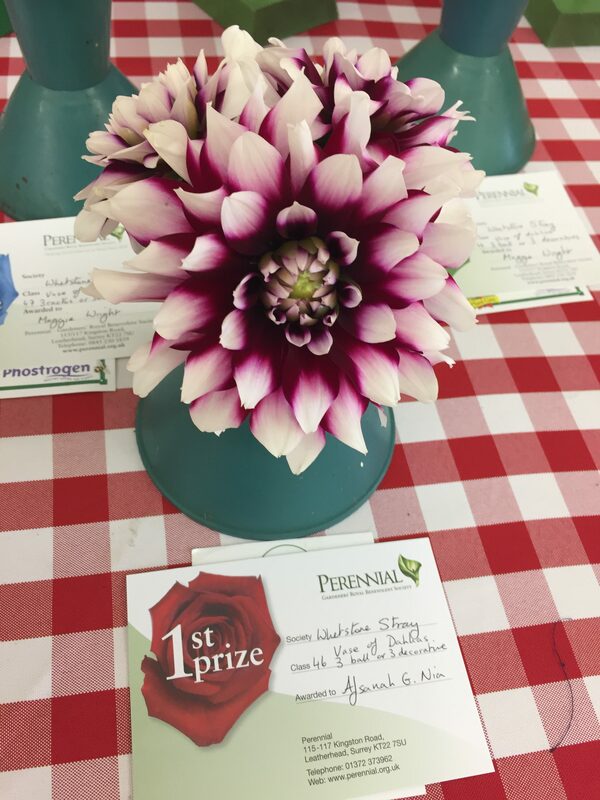 We welcome visitors to the Show after the judging (3pm-5pm) and for the prize giving at 5pm. 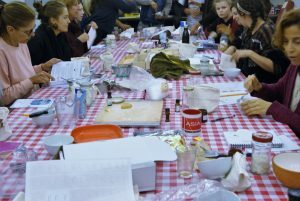 Refreshments and children’s activities will be available. 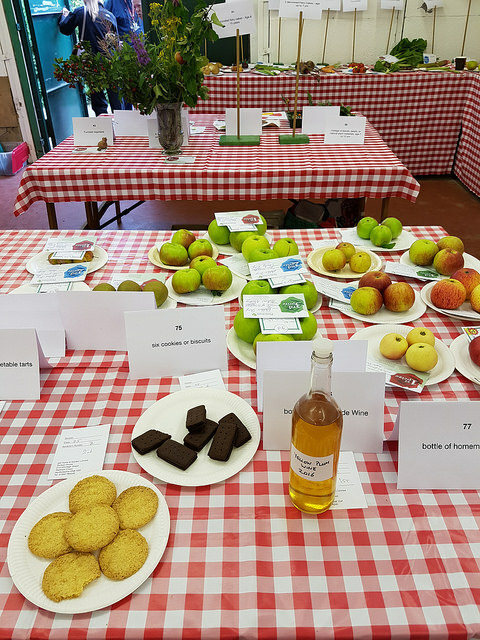 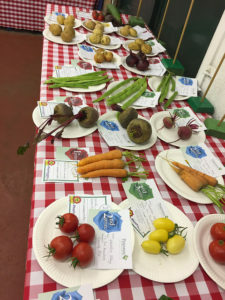 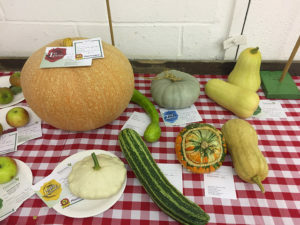 Our 70th Annual Show is on Sunday 6th September. 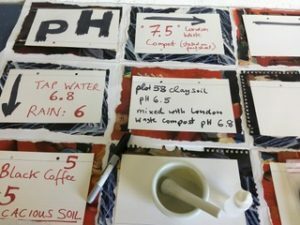 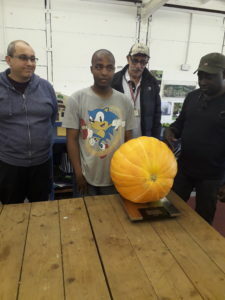 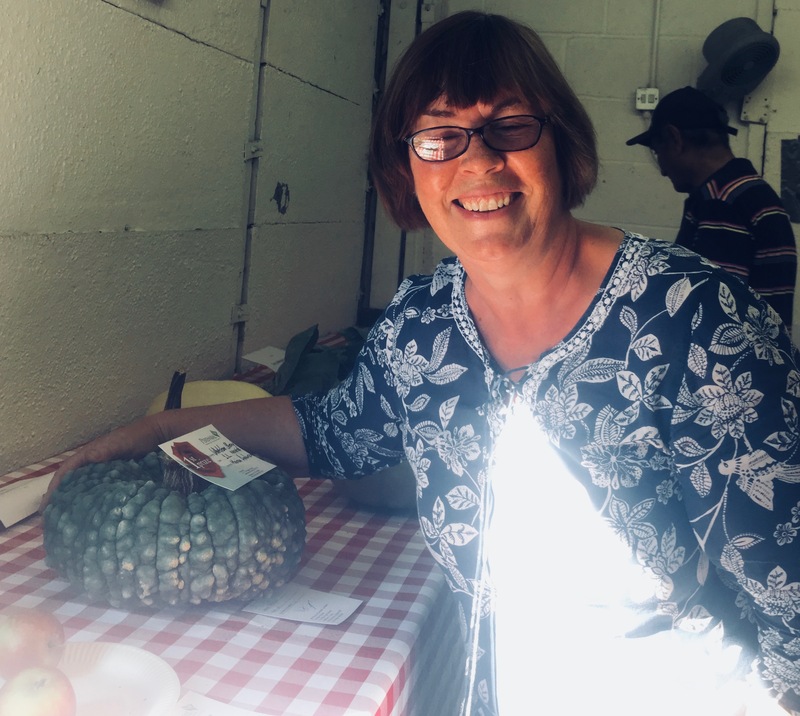 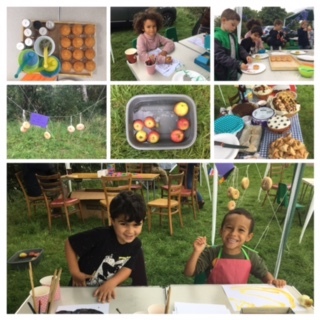 Although it was a wet and windy day, we still found plenty to do: picking ingredients for our celebration meal; weighing our big pumpkin – 21.3 kilos (which won the Capital Growth prize for heaviest pumpkin); and making apple juice. 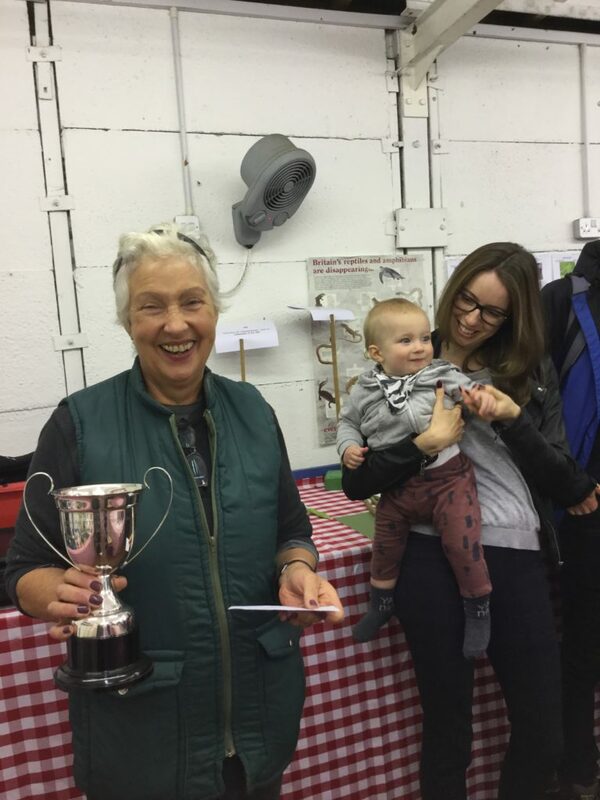 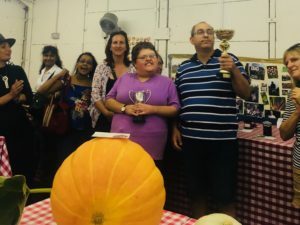 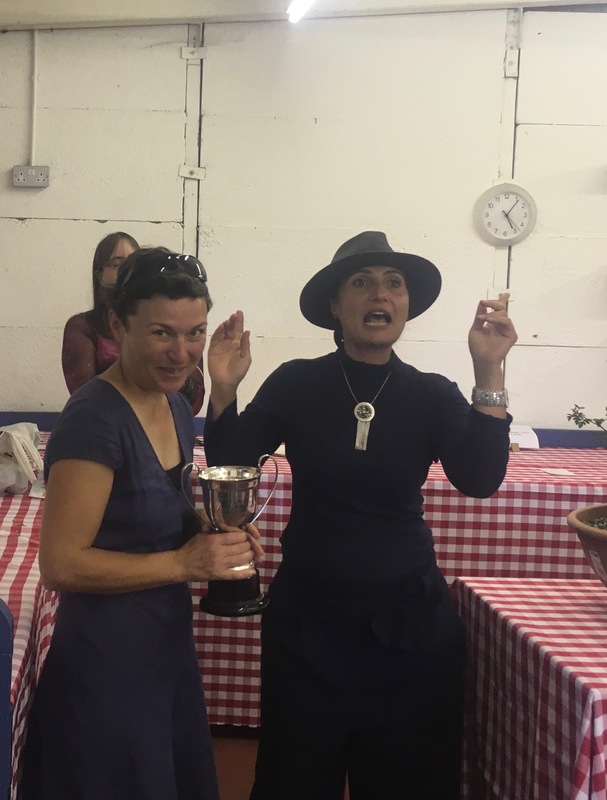 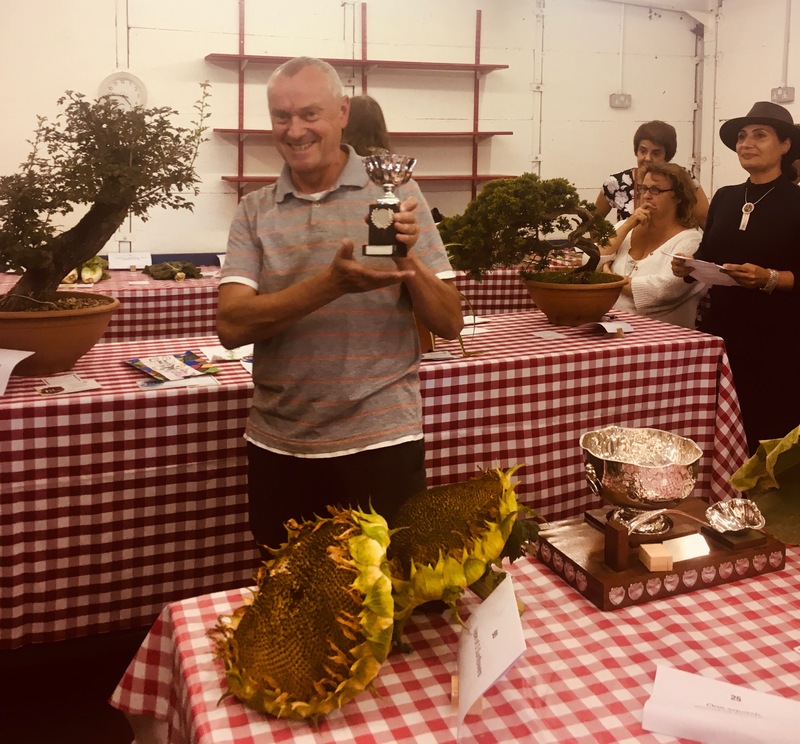 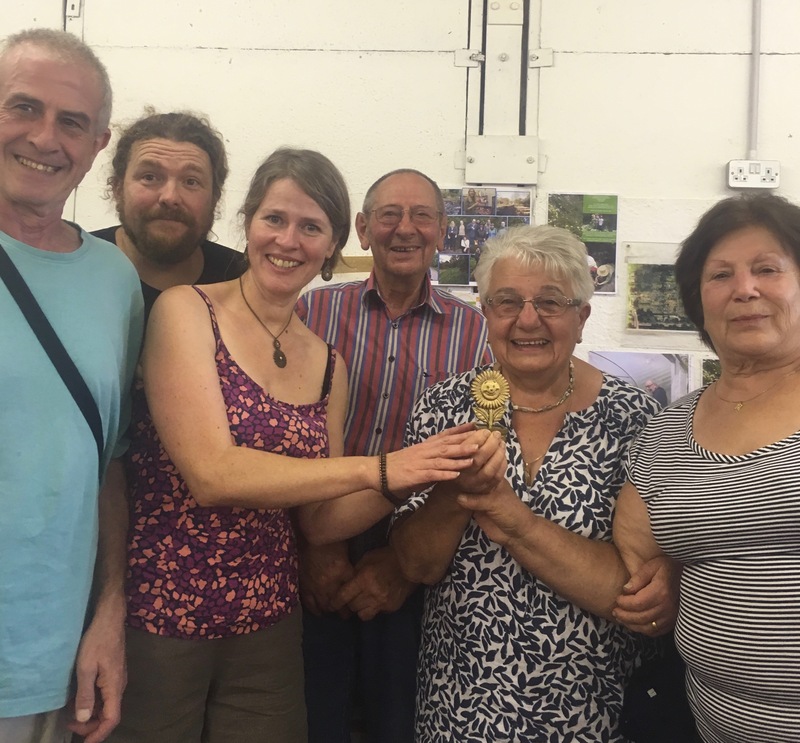 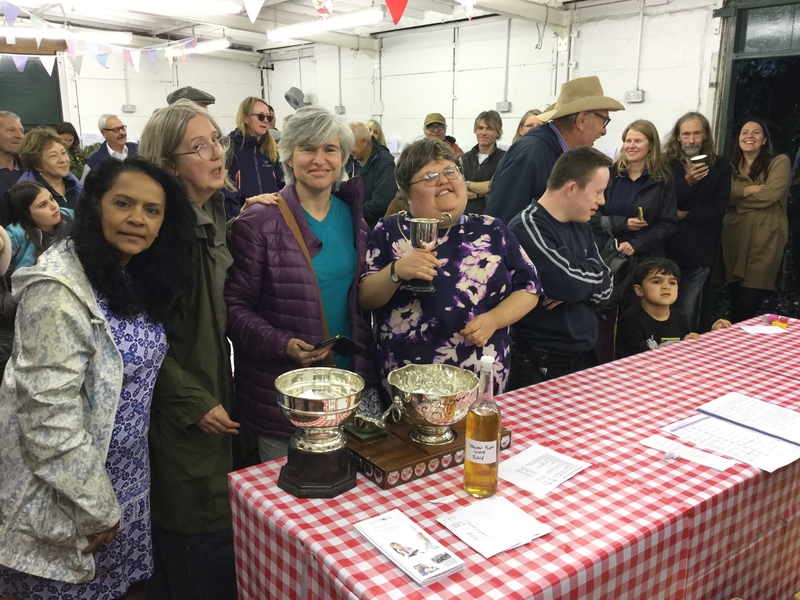 While Siobhan & Rik, Paul & Ann, Maria and Joanna all shared the Sunflower Trophy! 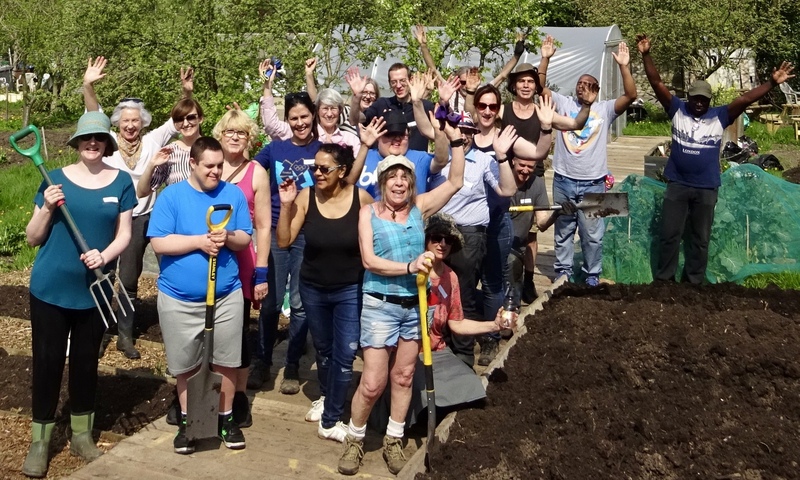 Big Dig is the annual day for Community Gardens, and is an initiative of www.capitalgrowth.org to encourage awareness of local community gardens and volunteering oppportunities. 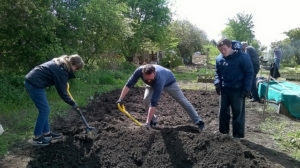 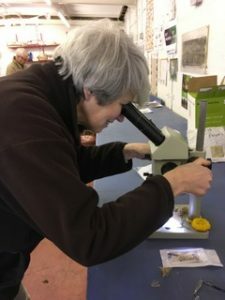 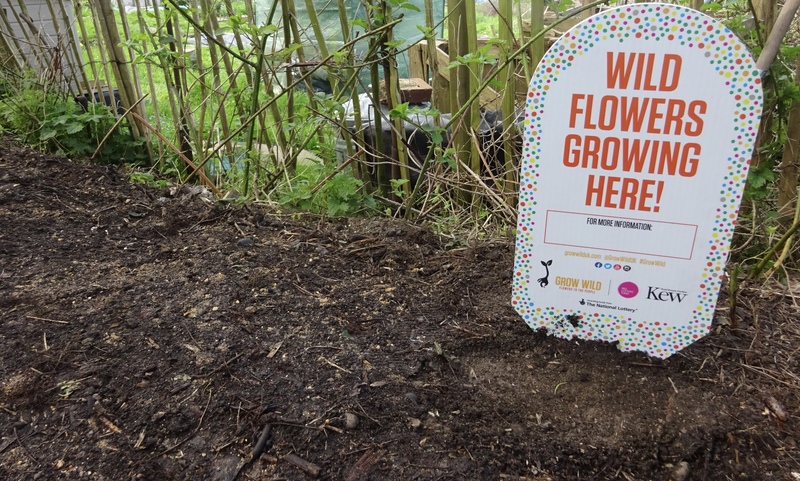 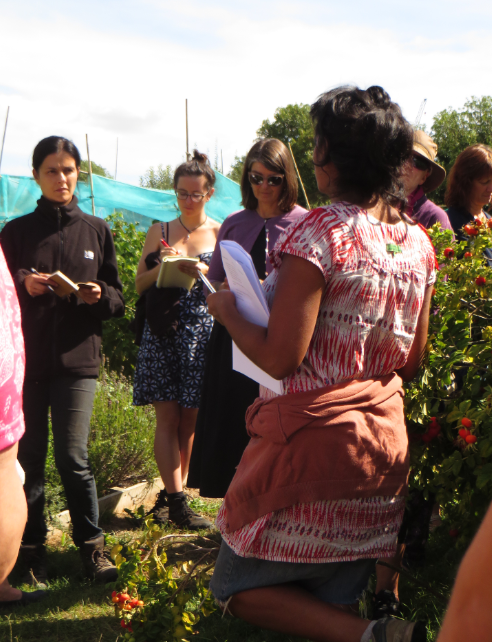 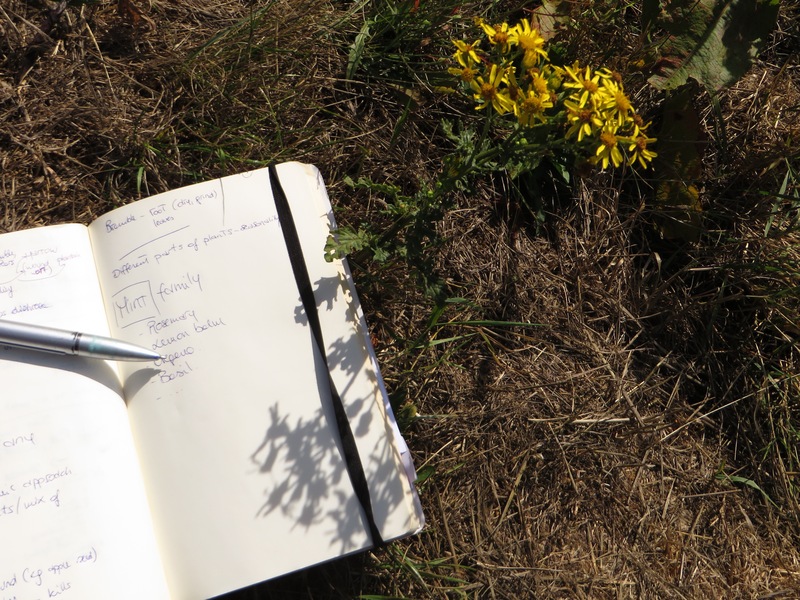 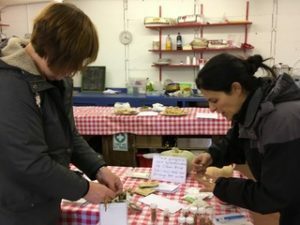 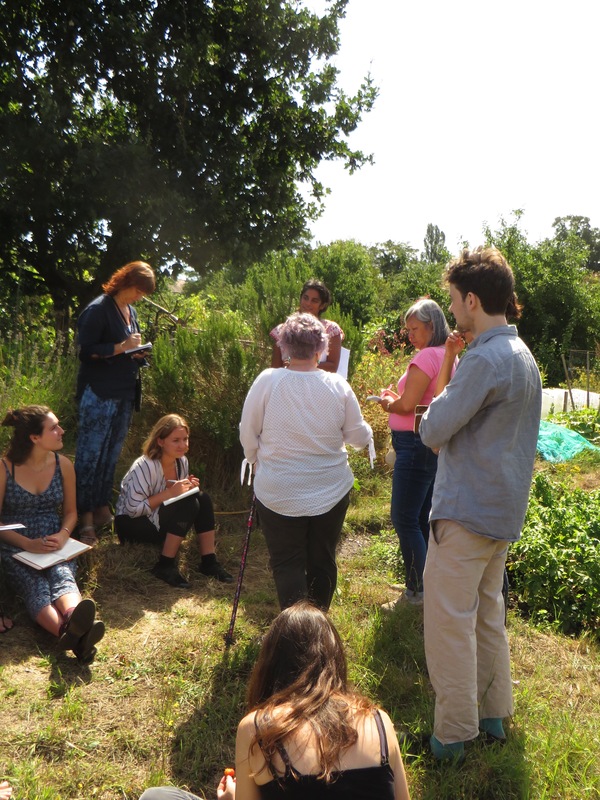 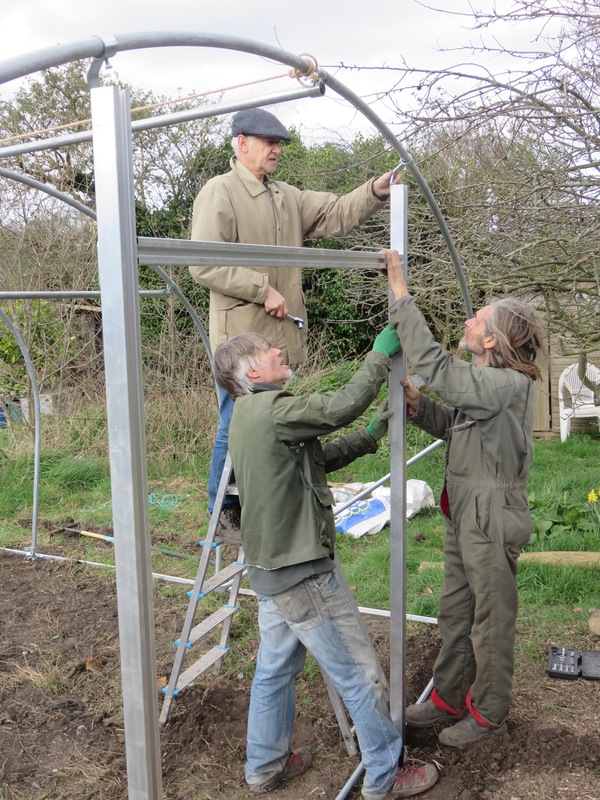 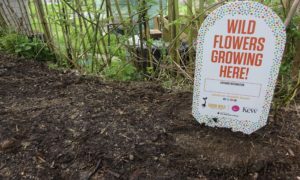 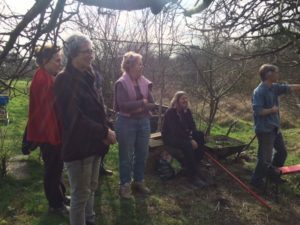 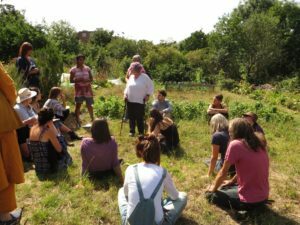 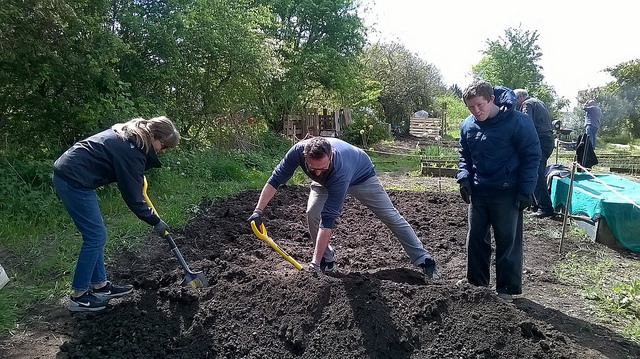 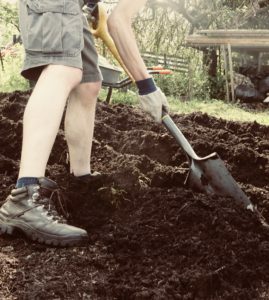 The Community Plot is a member of Capital Growth, and is a training partner this year – look out for information about training on site later in the year. 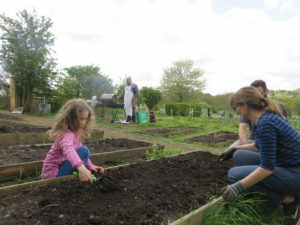 This was our third Big Dig, it was a lovely sunny day, we had a good turn out, and got a lot done in a fun, action packed morning : planting 100 seed potatatoes, making more than 100 paper pots, mixing seed compost (our recipe uses top soil; leaf mould and sand) sowing vegetable seeds and Growwild wild flower seeds – Growwild is a national charity which supplies wildflower seeds, advice and guidance, to community groups. 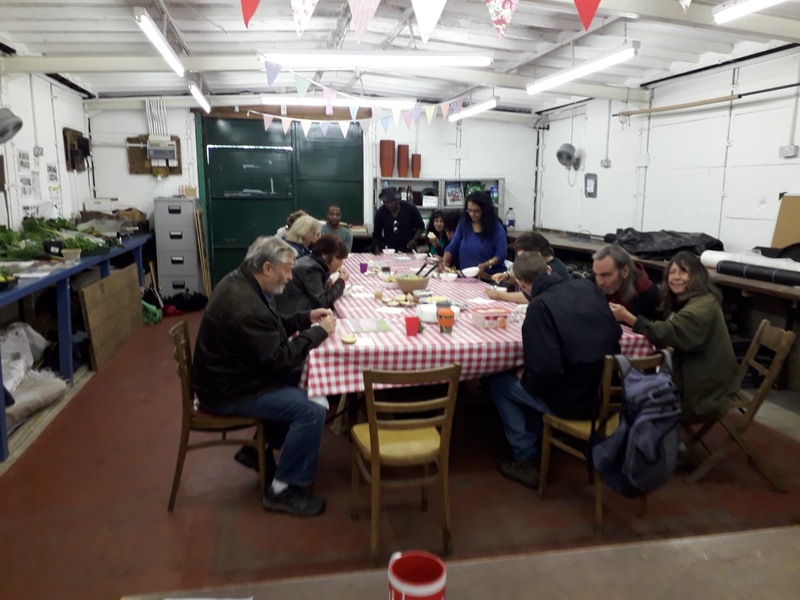 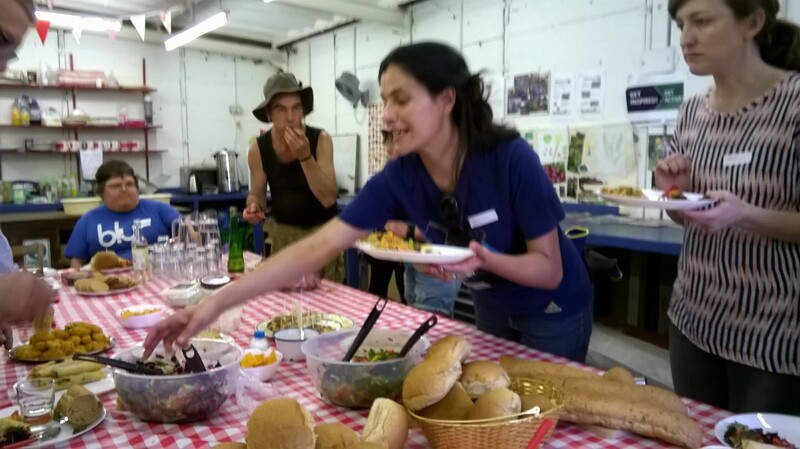 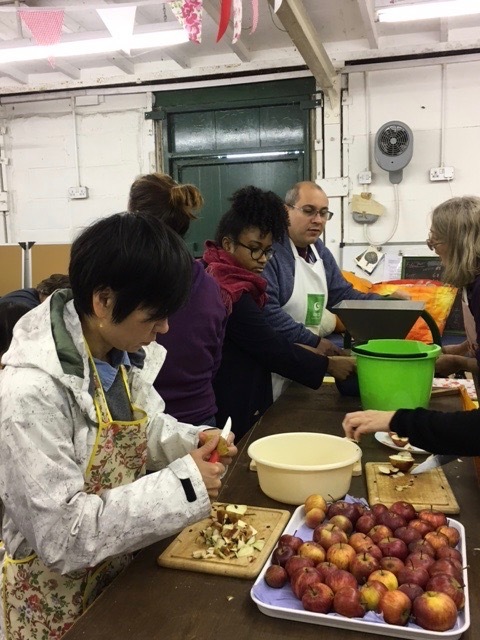 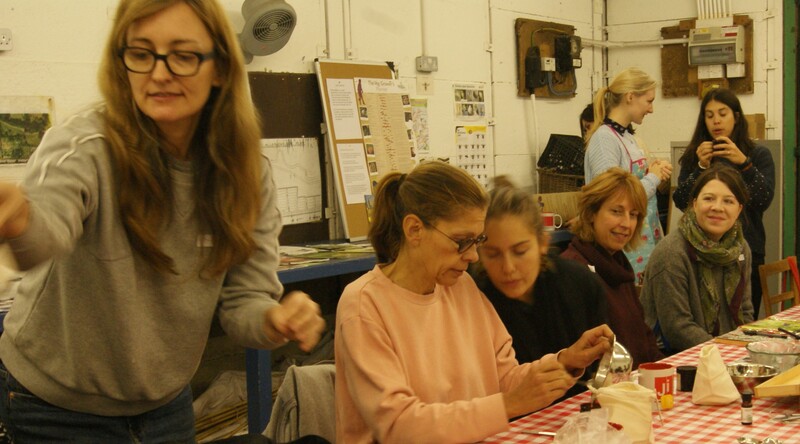 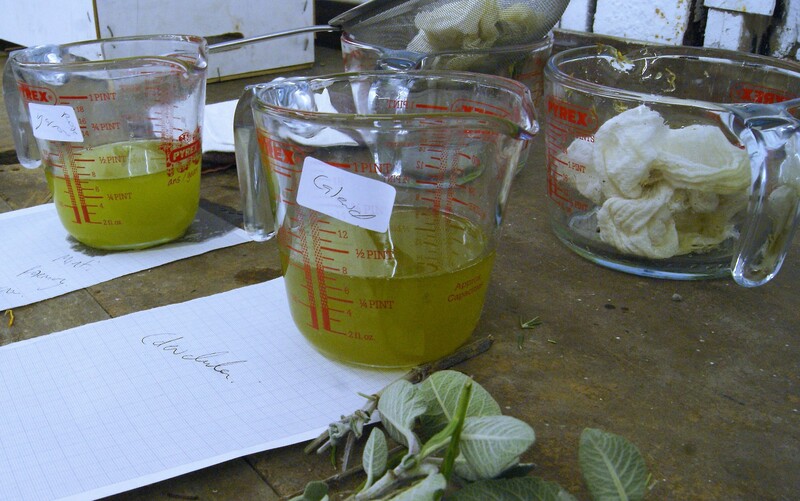 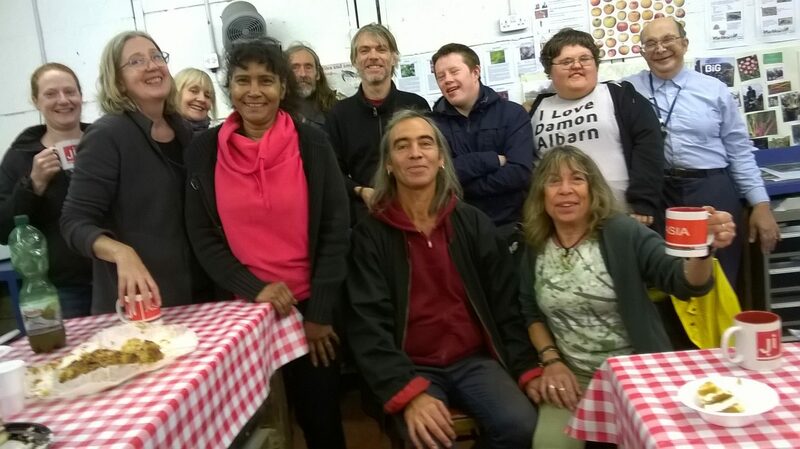 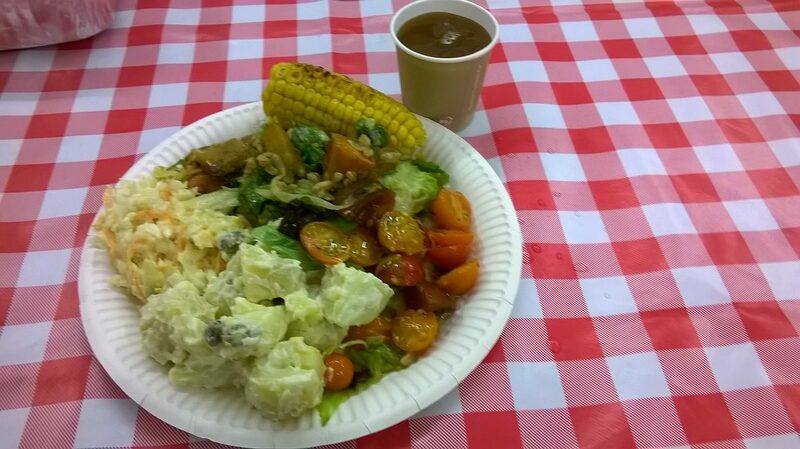 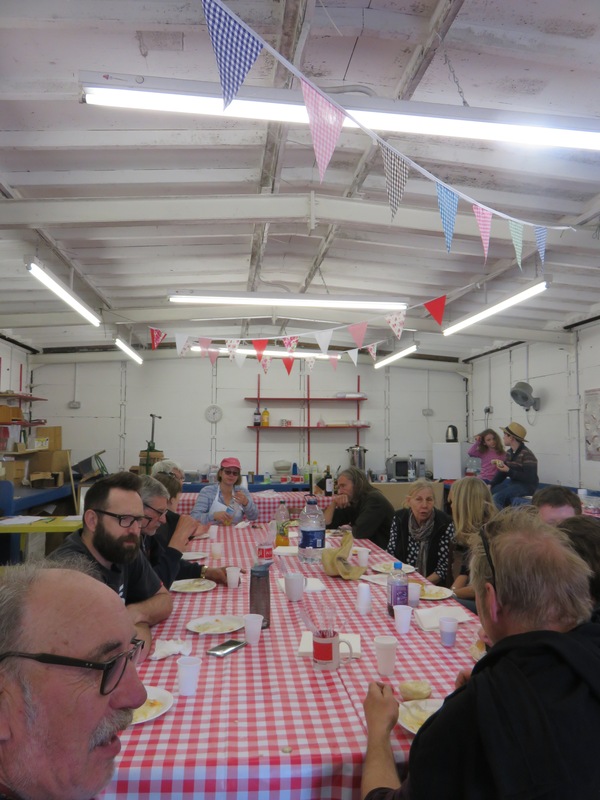 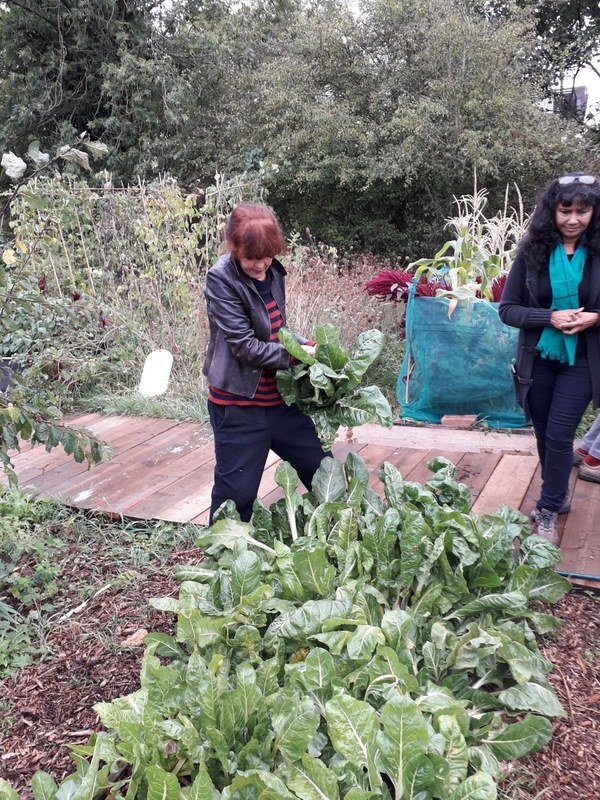 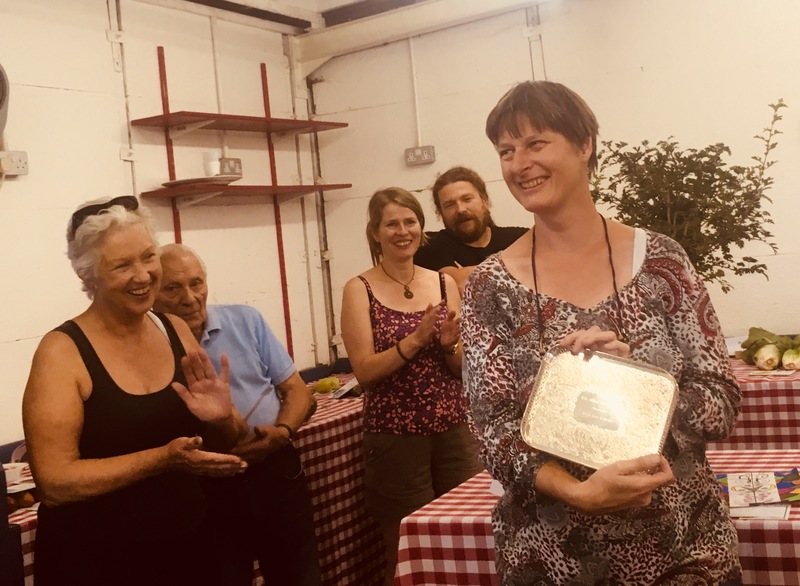 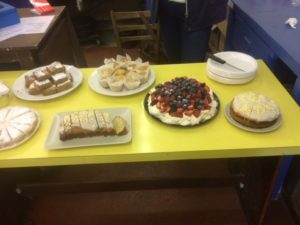 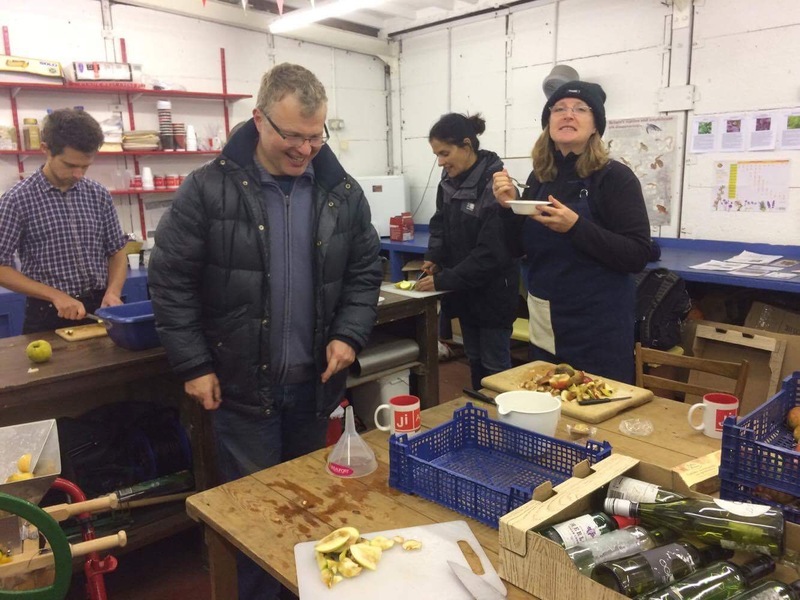 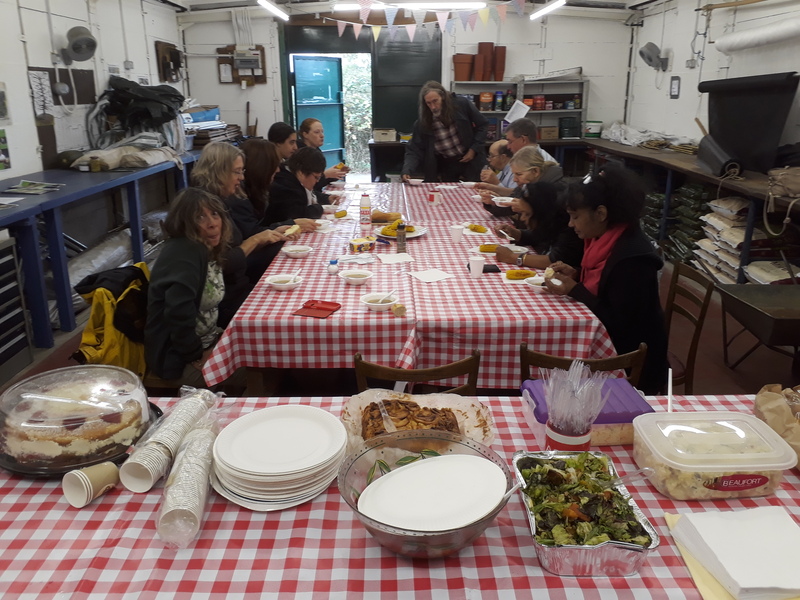 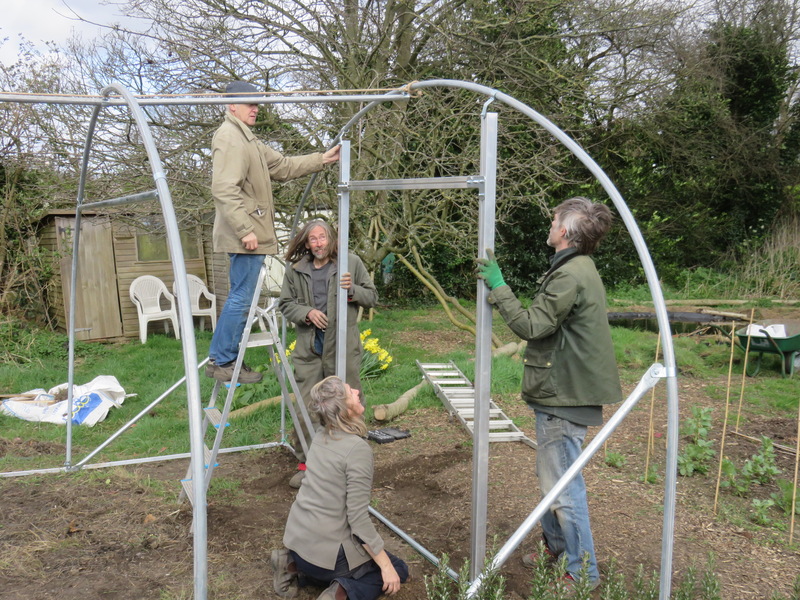 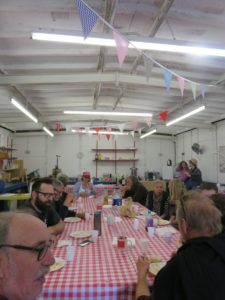 At the end of a great morning of gardening, we enjoyed a wonderful vegetarian lunch prepared by volunteers, including delicious Turkish food, pickled sloes and wild garlic and nettle pesto. 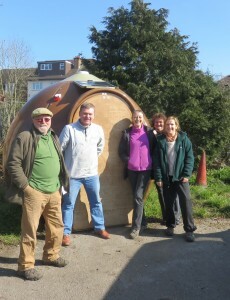 Many thanks to Les Coupland and Sean for a great day. 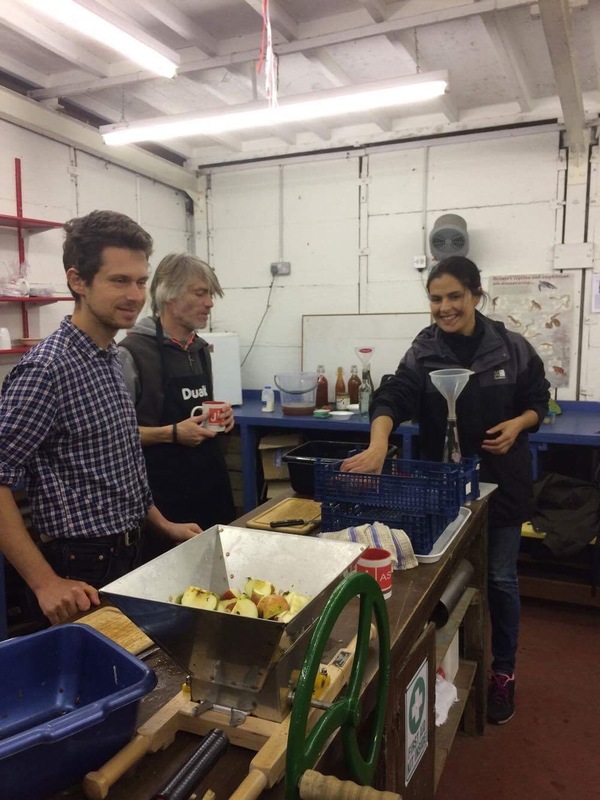 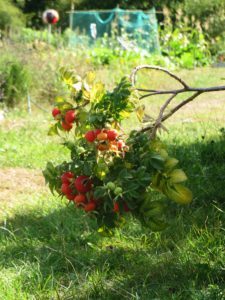 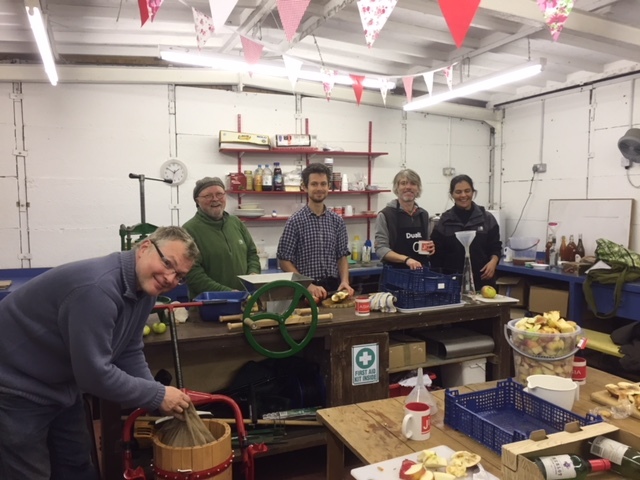 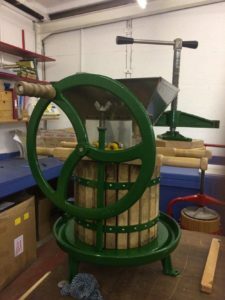 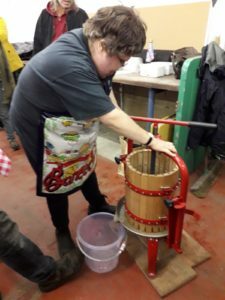 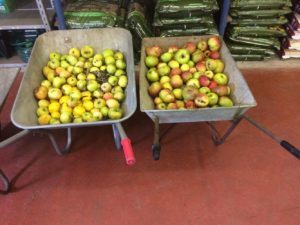 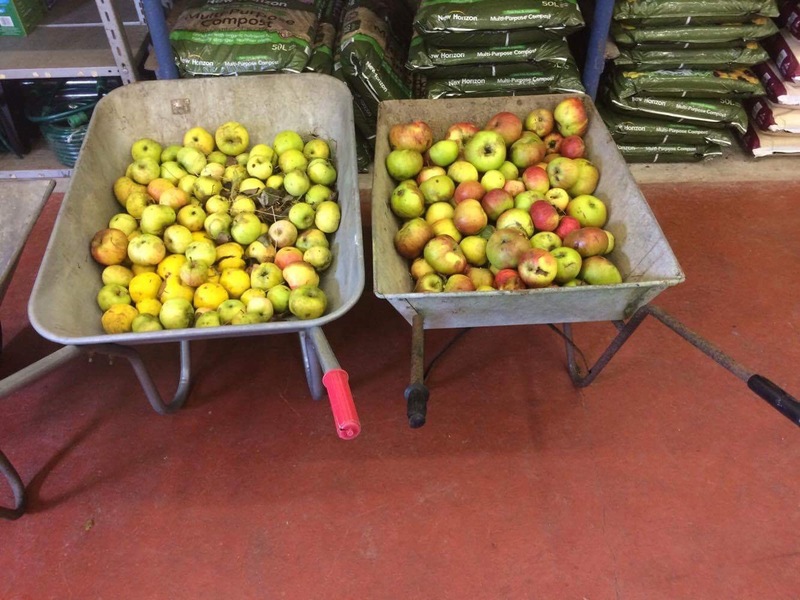 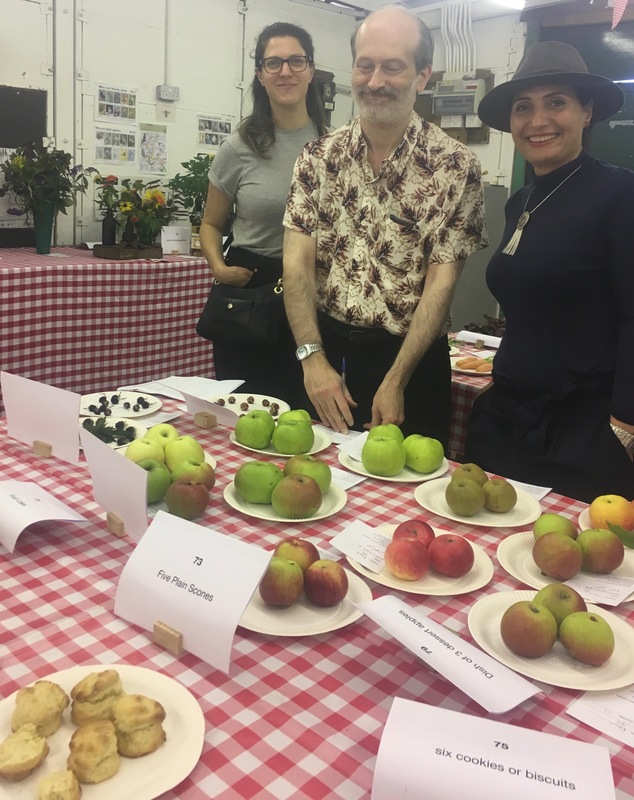 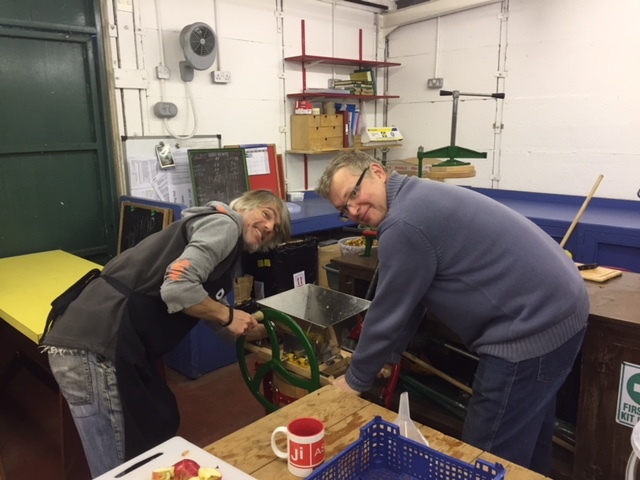 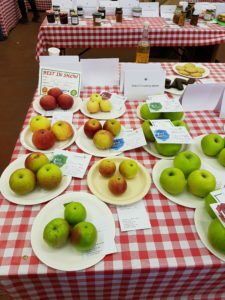 It’s a good thing we now have two apple presses, as there was a good turn out, a variety of apples were pressed and at least 30 litres of apple juice produced. 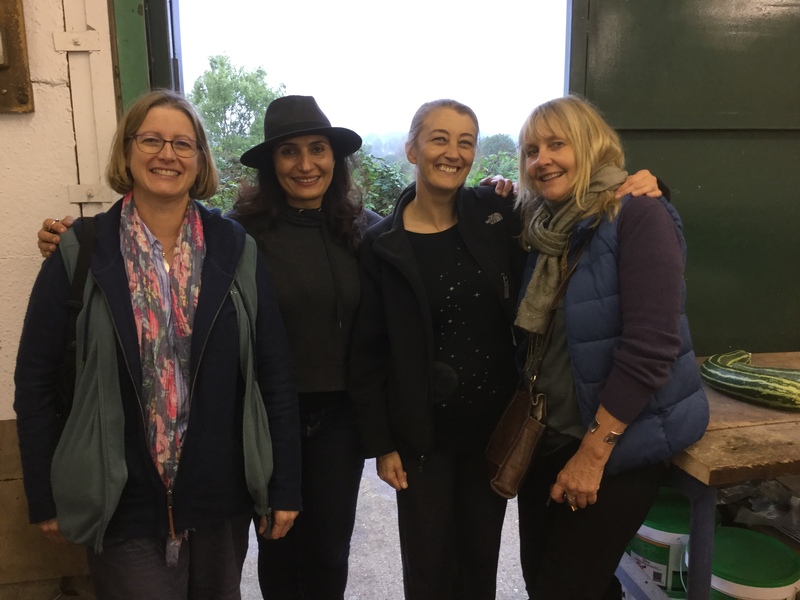 Many thanks to the Annual Show Sub-committee: Angela, Afsaneh, Dianne and Dorothy, for a wonderful day. 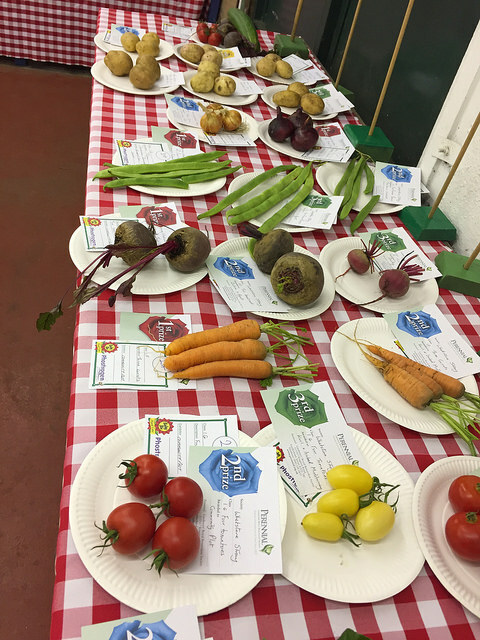 Please send in your photos of the day so we can upload them! 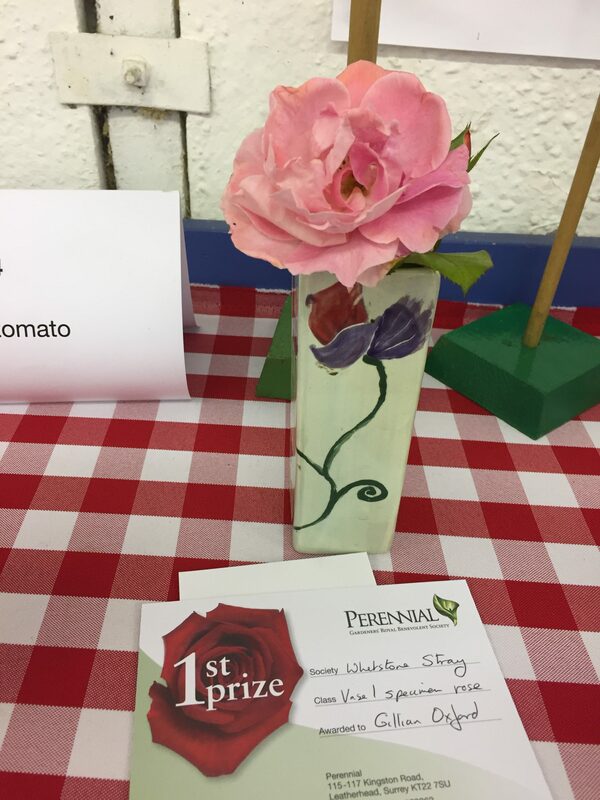 There are more photos in our photo gallery. 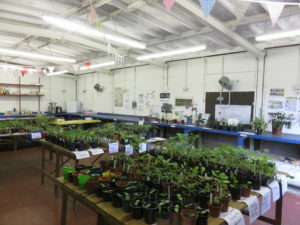 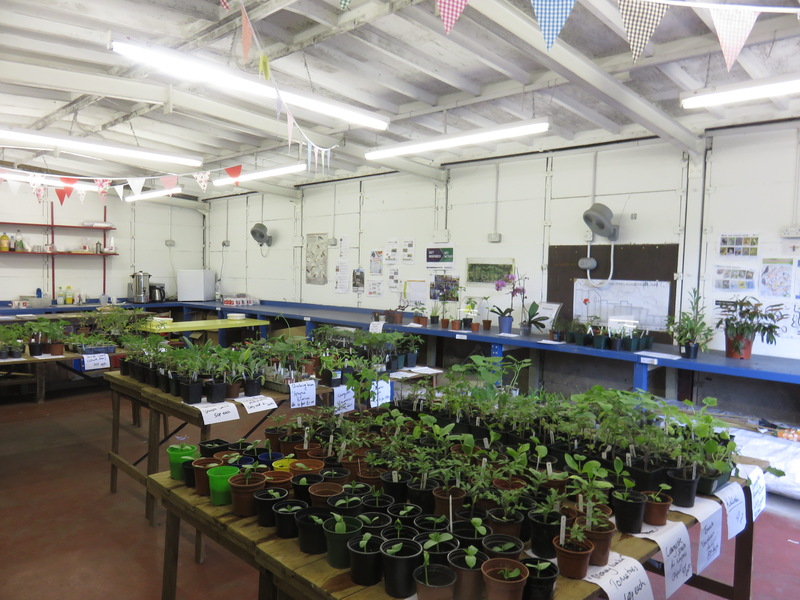 Our Annual Plant Sale was a great success. 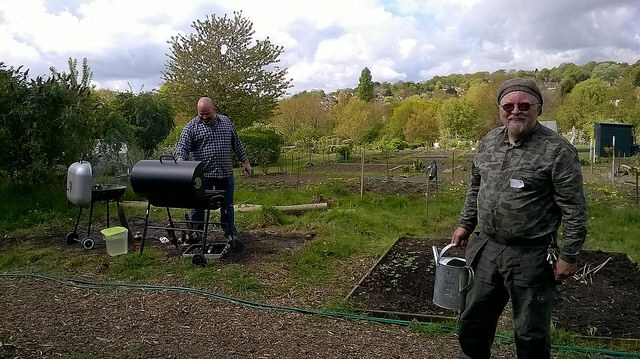 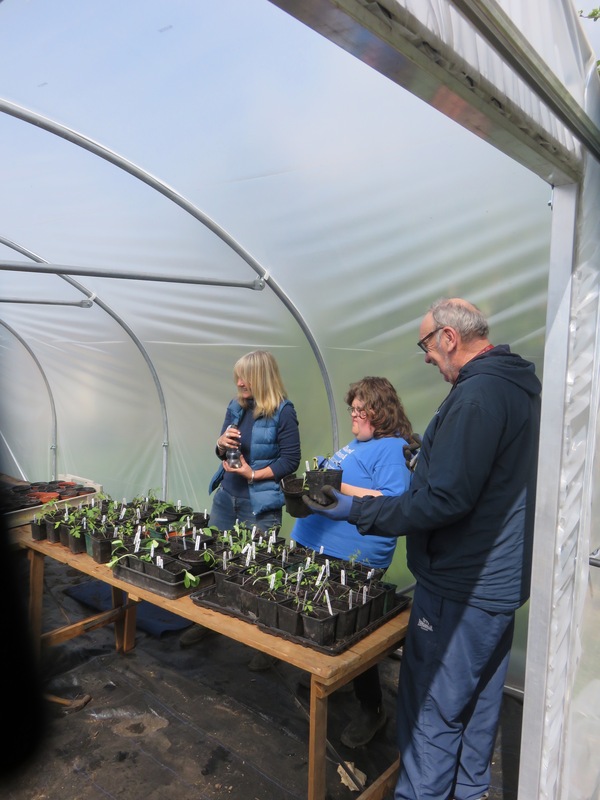 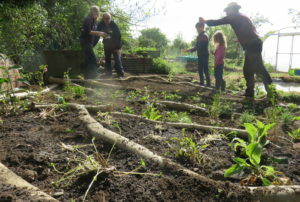 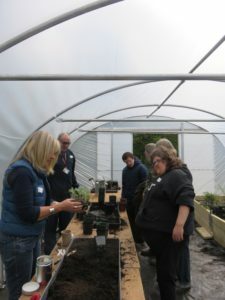 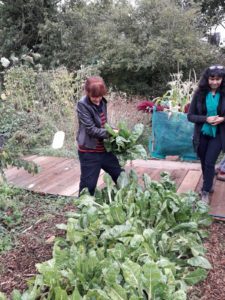 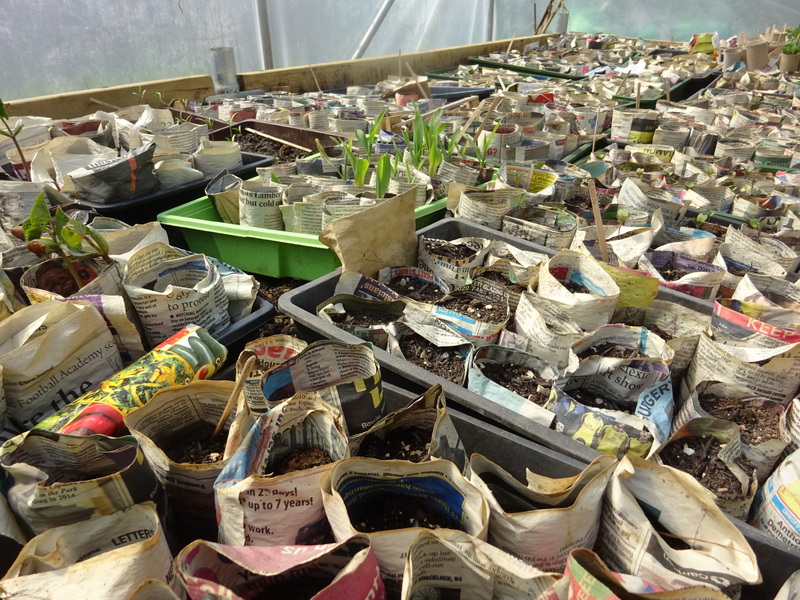 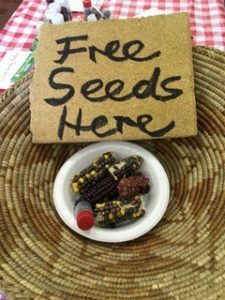 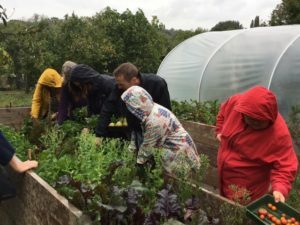 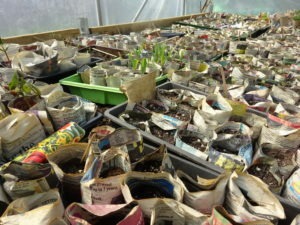 Most of the plants were provided by the Community Plot Group, who have sowed, pricked out and potted on hundreds of plants this year. 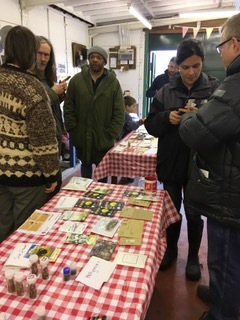 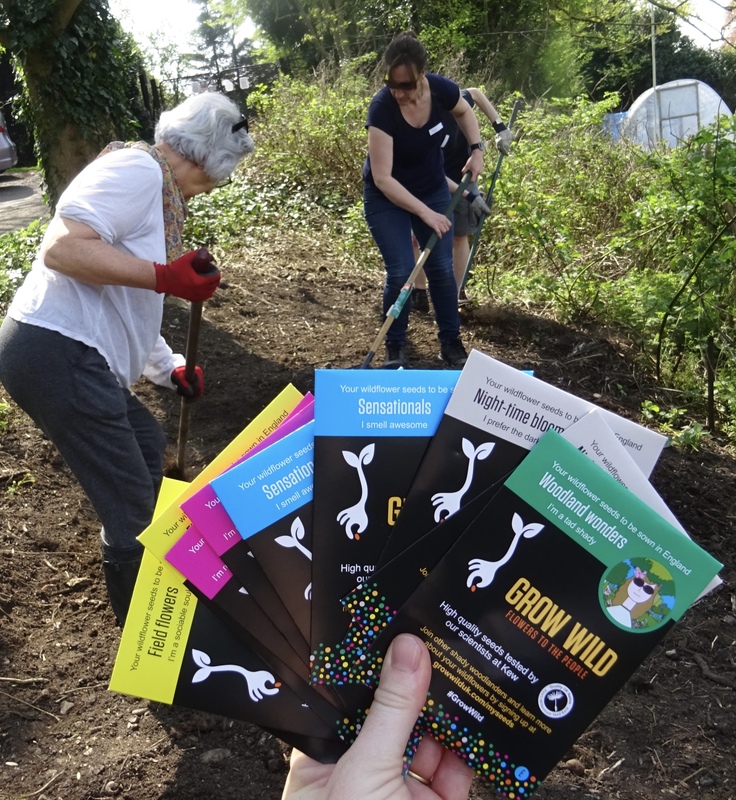 We also had donations from Plot Holders, including unusual plants such as medicinal herbs and orchids! 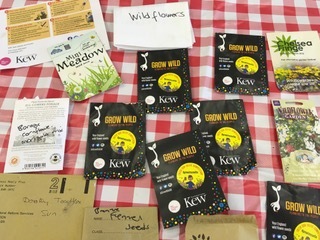 sowing Grow Wild seeds: growwilduk.com supports community projects with seed kits and also provides mentoring support to our Community Plot. And we enjoyed a wonderful BBQ cooked by Neil and Angela. Our biggest ever voluntary challenge, finally achieved in time for the Big Dig, with thanks to all those who took part over several weeks! . 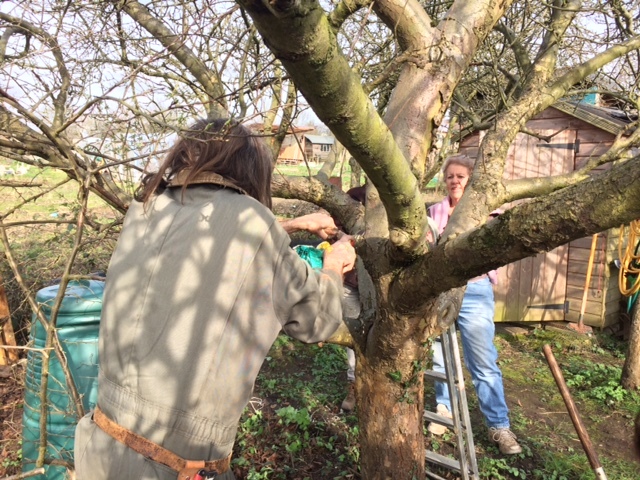 Les is a Master Pruner, with decades of experience. 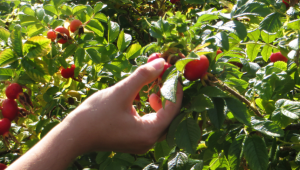 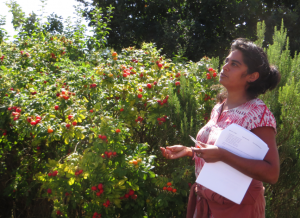 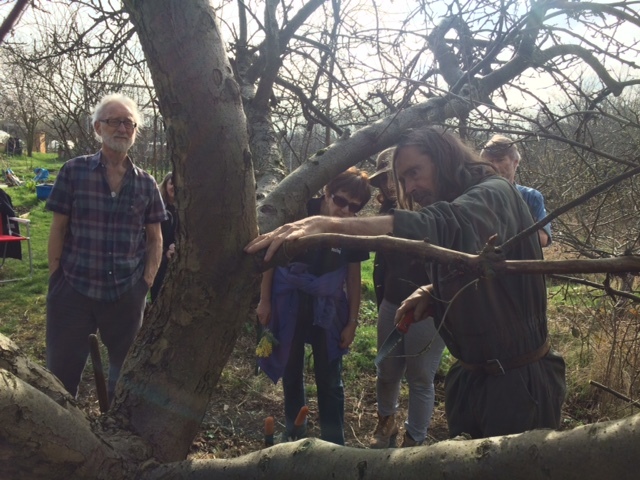 He shares his skills in Pruning Workshops for Plot Holders. 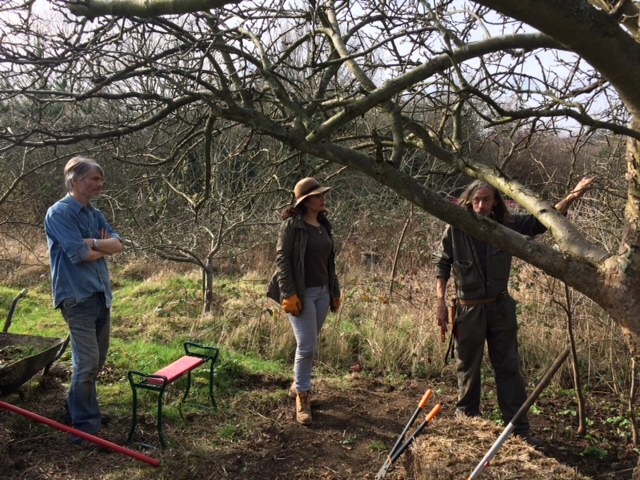 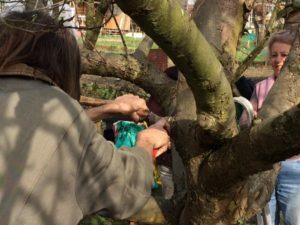 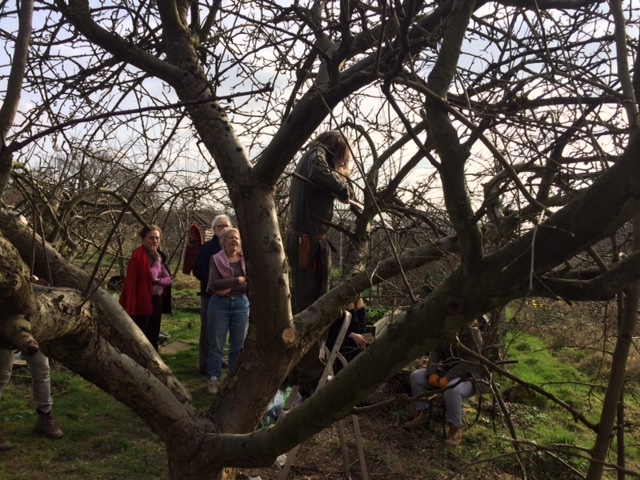 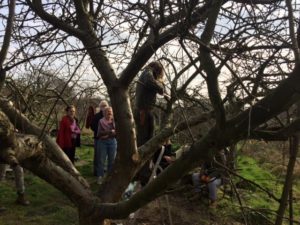 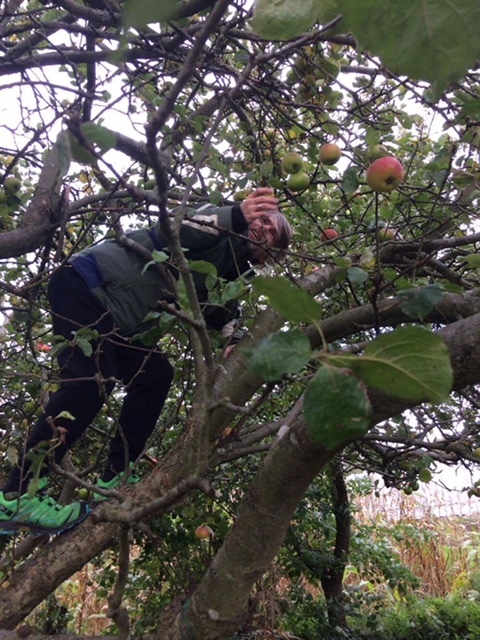 This time he demonstrated on an old, overgrown apple tree on Sean, Allison and Ann’s Plot. 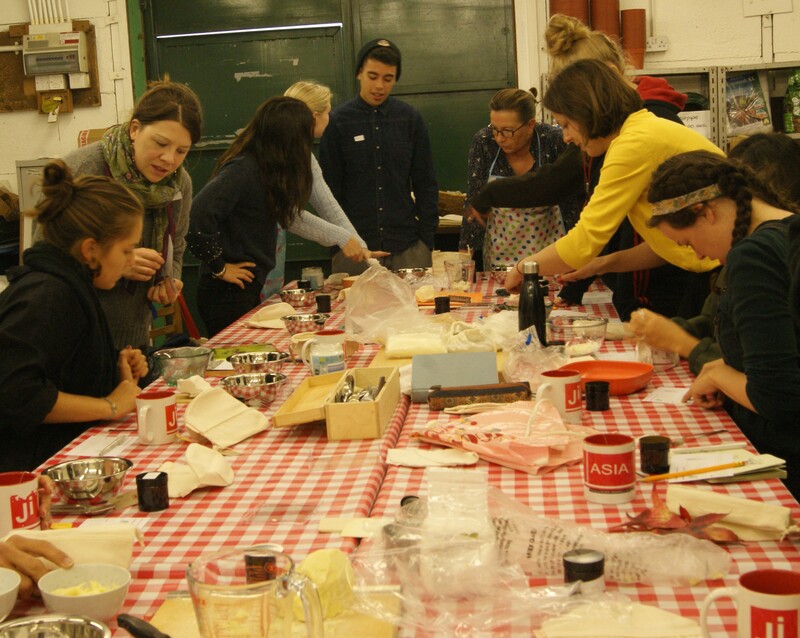 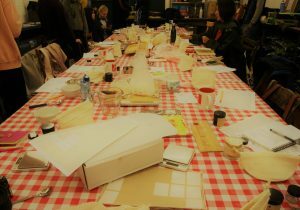 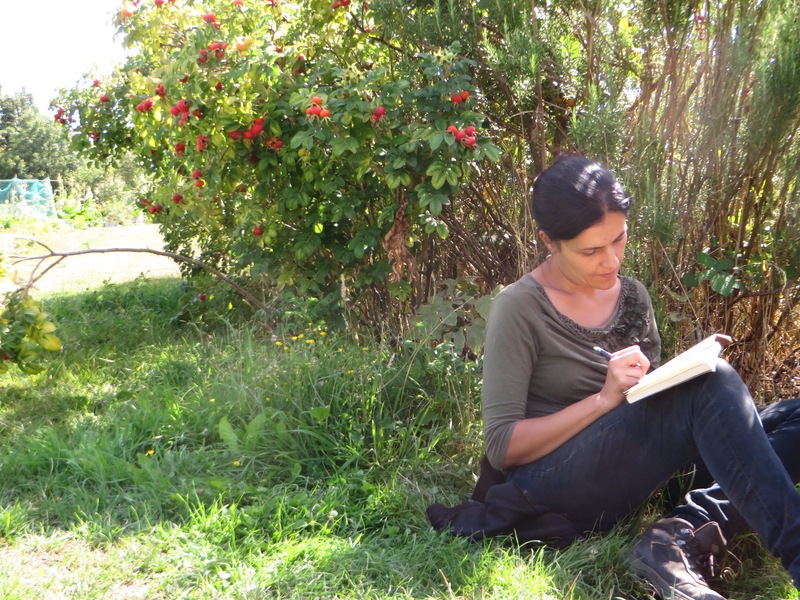 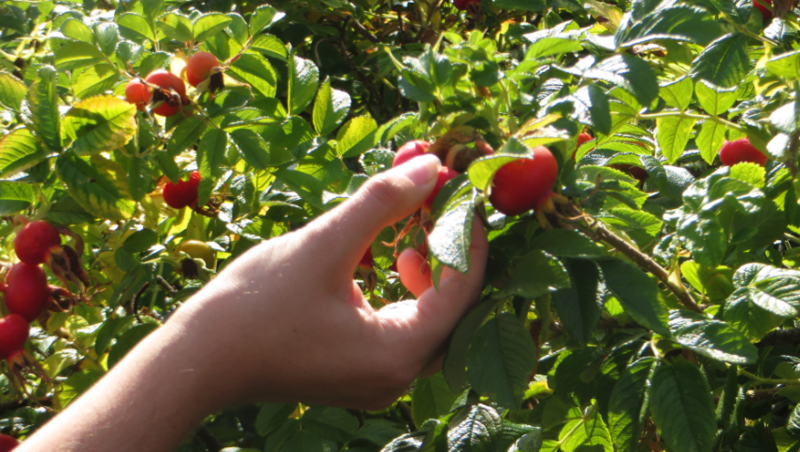 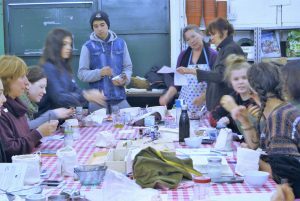 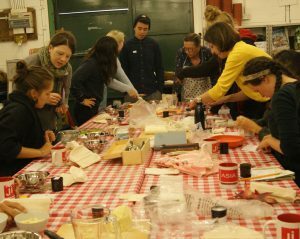 Les will hold another Workshop for stone fruits later this year.